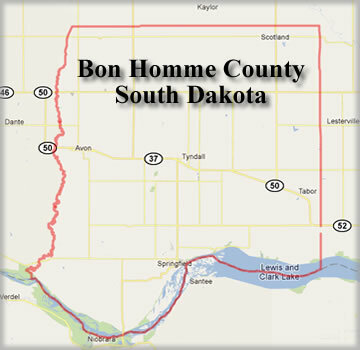 Bon Homme County is something you should read. 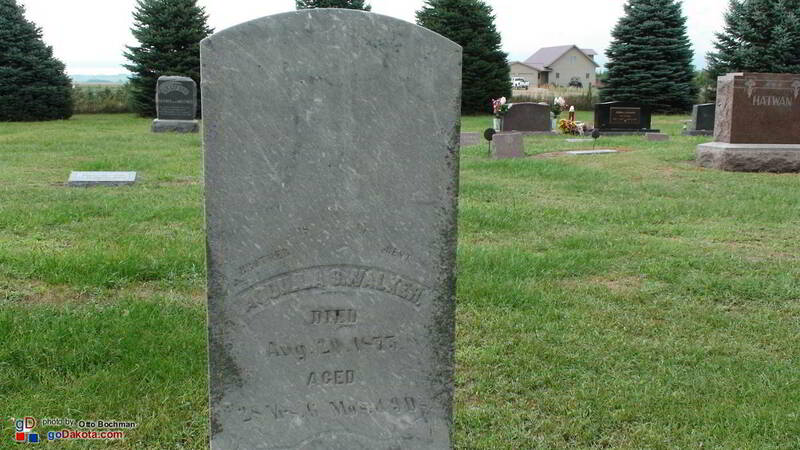 Those banks shifted during the late 1800s and early 1900s which contributed to the decline of Bon Homme. 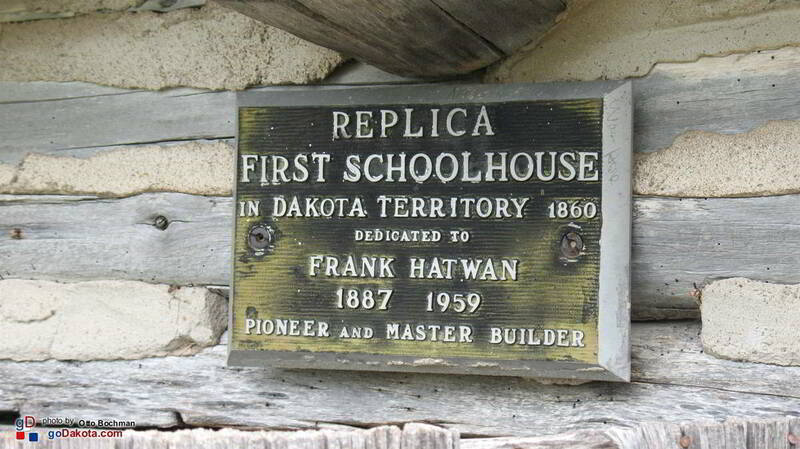 It had been nominated for the territorial capitol of Dakota Territory in April of 1862 but that was not to be. 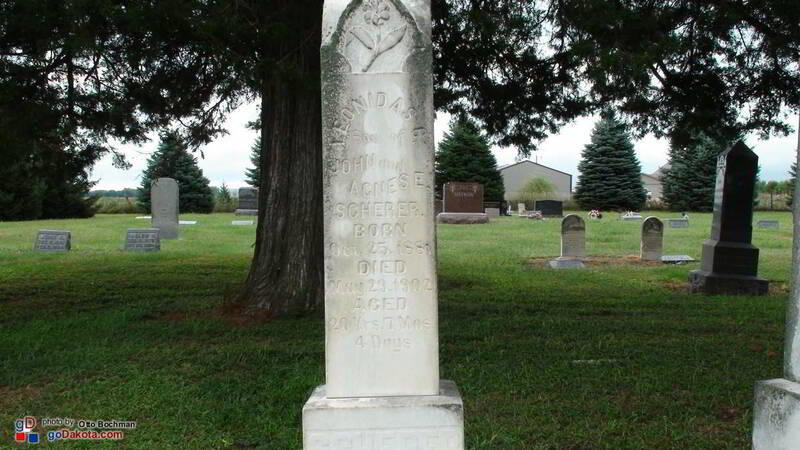 About all that remains of village of Bon Homme is the cemetery, the monument commemorating the first school in Dakota Territory, and a replica of that first school. 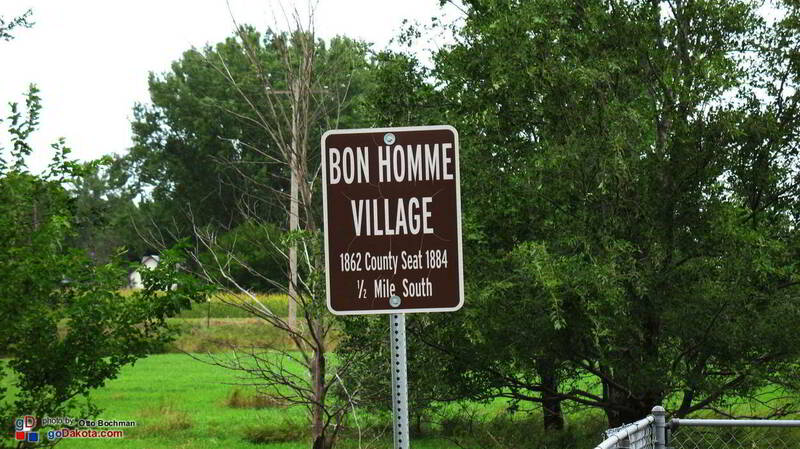 Bon Homme is French and loosely translated means: Good Man. 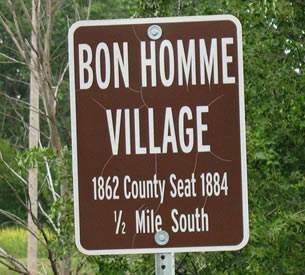 Many, if not all of the first men of Bon Homme were "Good Men." 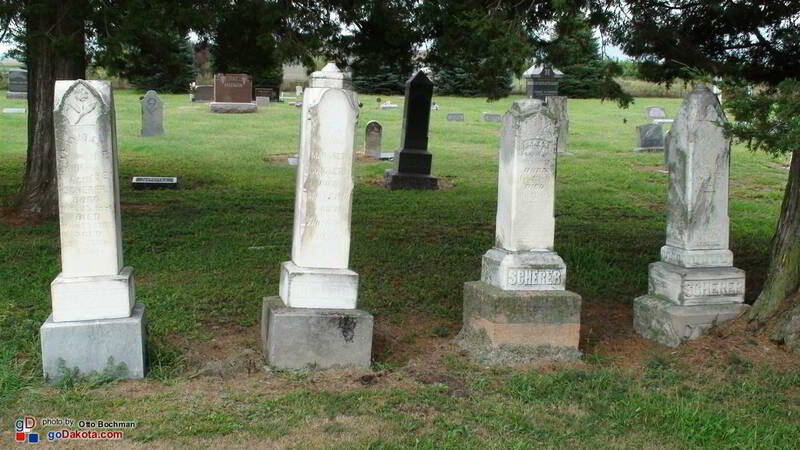 I think we can conclude that the men (and women) who have taken the time to continue to care for the cemetery, the monument, and school replica are equally "Good" for preserving these historic sites. 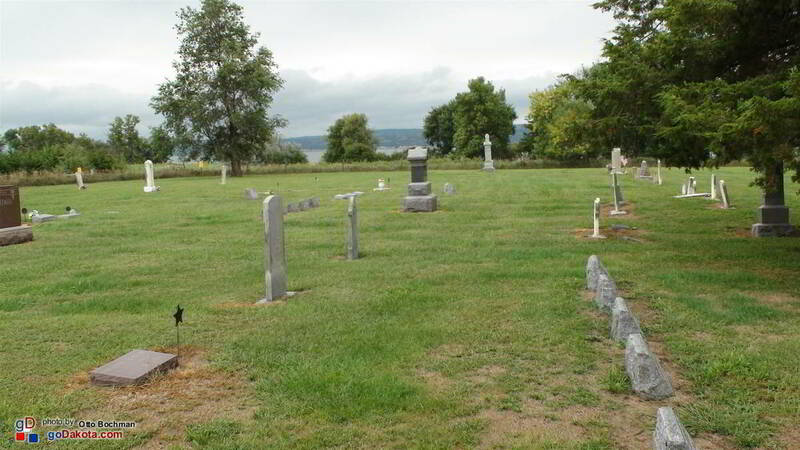 We are pleased that we can continue to visit the History on the Banks of the Missouri. 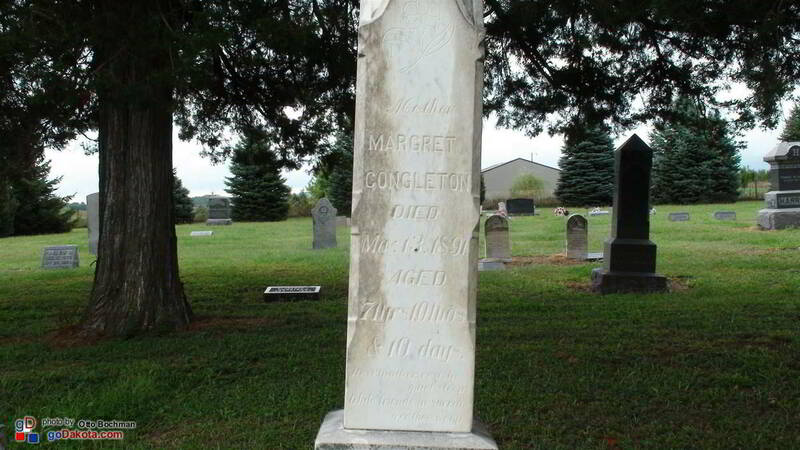 According to a writing by Maxine Schuurmans, the cemetery was platted in 1862 on land donated by Benton Fraley, but was already in use in 1859. 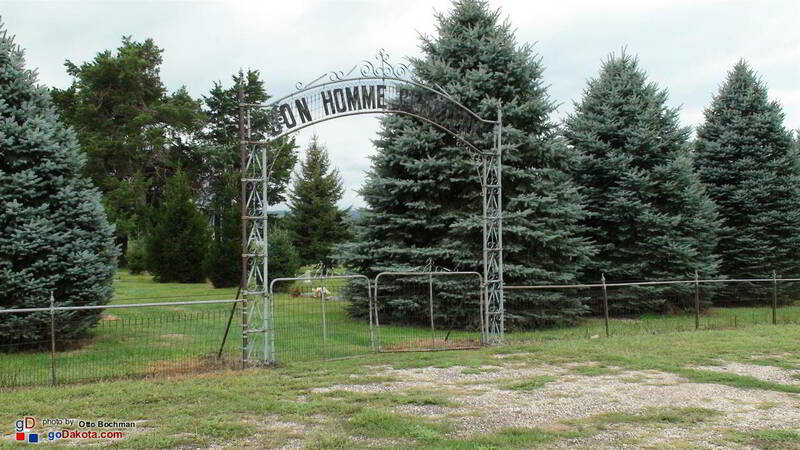 The Bon Homme National Cemetery holds the remains of several soldiers as well as many citizens of the community. 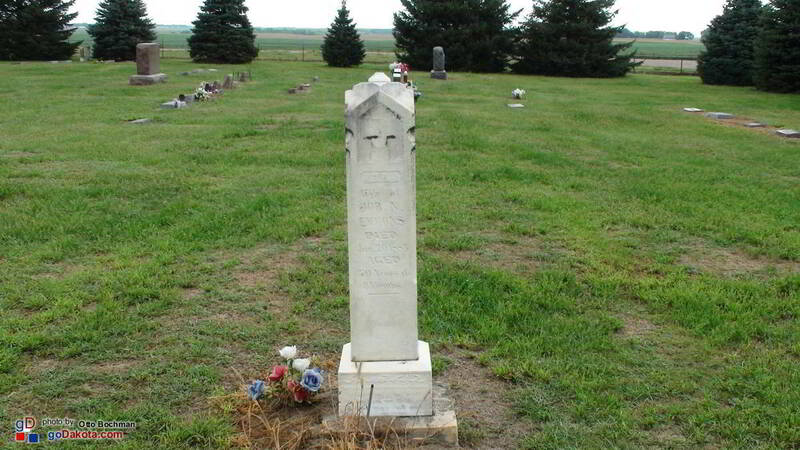 General George Custer lost several men to typhoid fever in 1873 and they were moved from original gravesites close by to the Bon Homme National Cemetery. 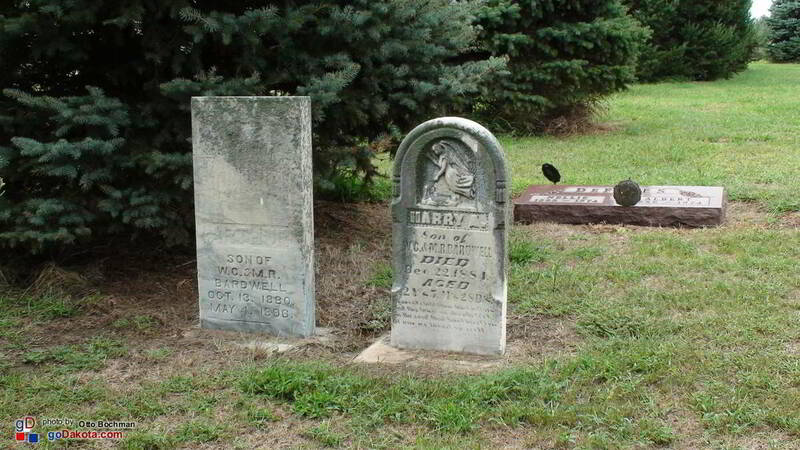 At the time of this visit (September 3, 2011), the cemetery was very well cared for. 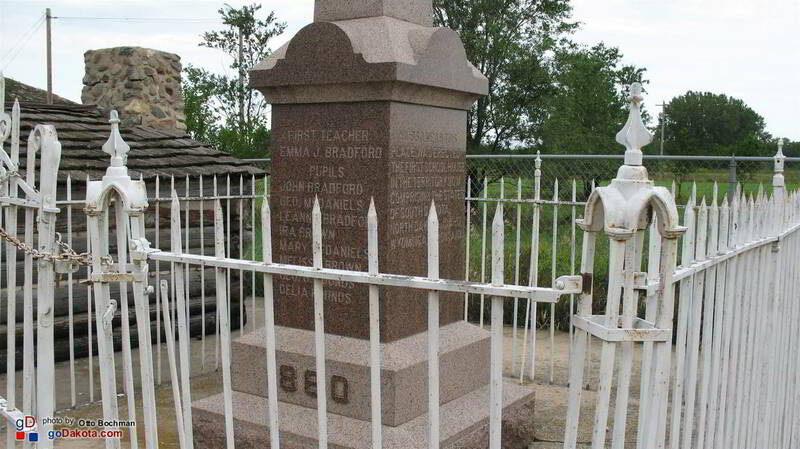 A monument commemorating the first school in Dakota Territory at Bon Homme stands a short distance to the east of the Bon Homme National Cemetery. 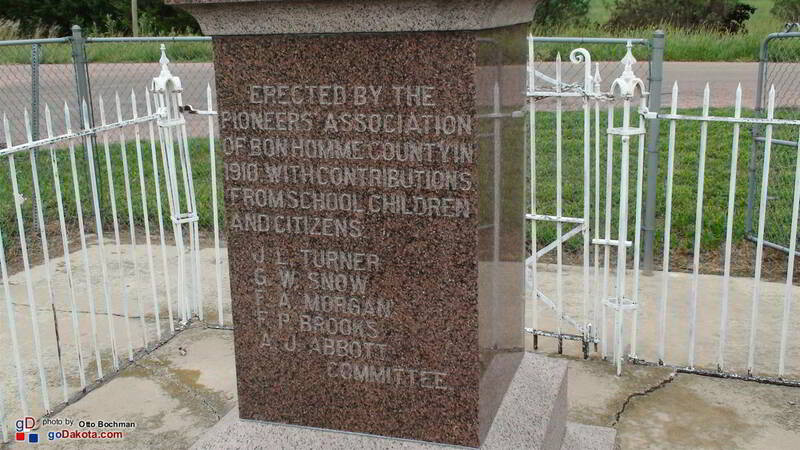 It was dedicated by members of the Bon Homme County Pioneer Association in 1910. 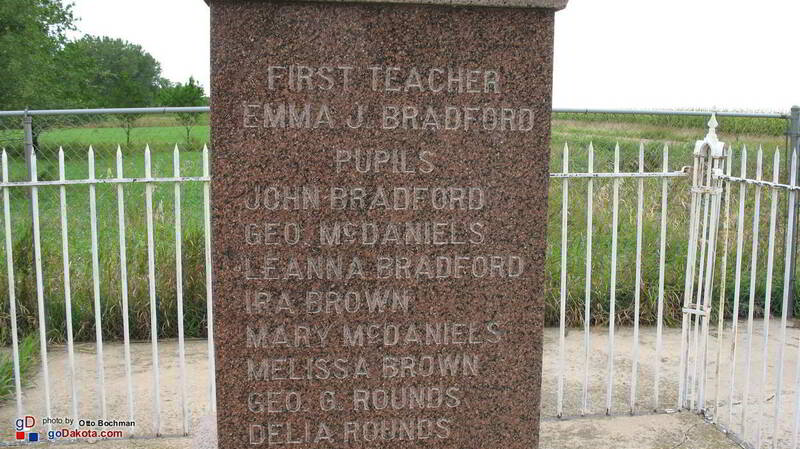 Next to the monument is a replica of that first school house. As you look at and into the school you are reminded of what life must have been like for the pioneers and their school aged children. 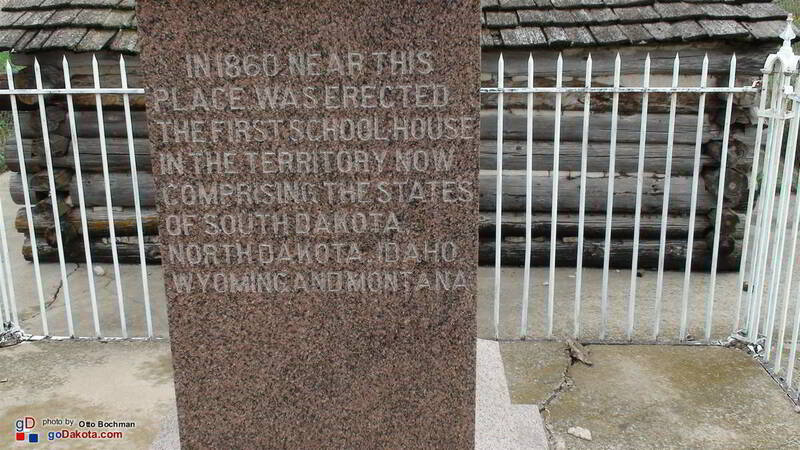 Bon Homme Village may not have survived but it continues to hold an important place in the history of Dakota Territory and South Dakota statehood. Avon, Scotland, Springfield, Tabor, and Tyndall. Tyndall is the county seat. 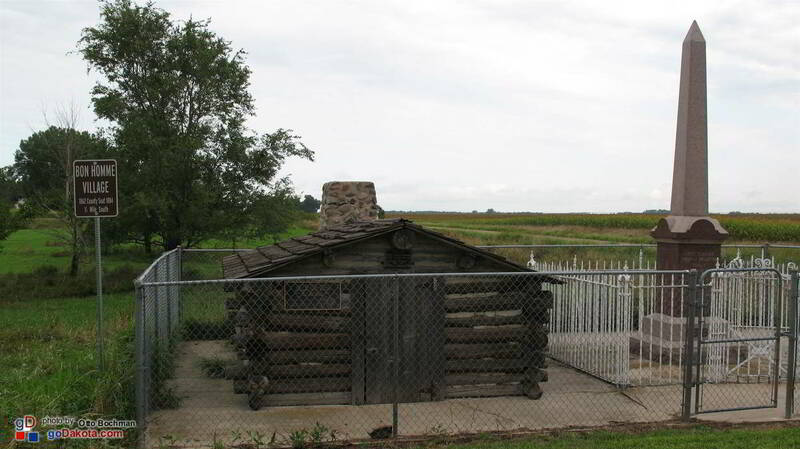 The original community of "Bon Homme" was located on the Missouri River east of where Springfield is located today and south of Tyndall. 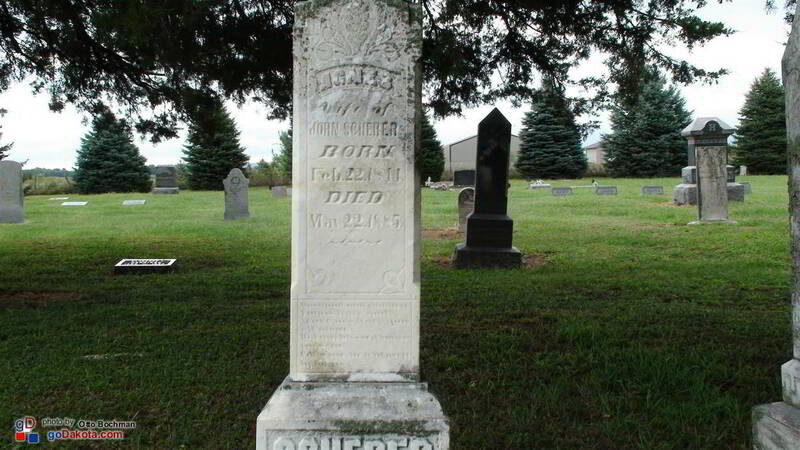 The communities of Loretta, Kingsburg, Perkins, and Running Water are no longer recognized as towns. 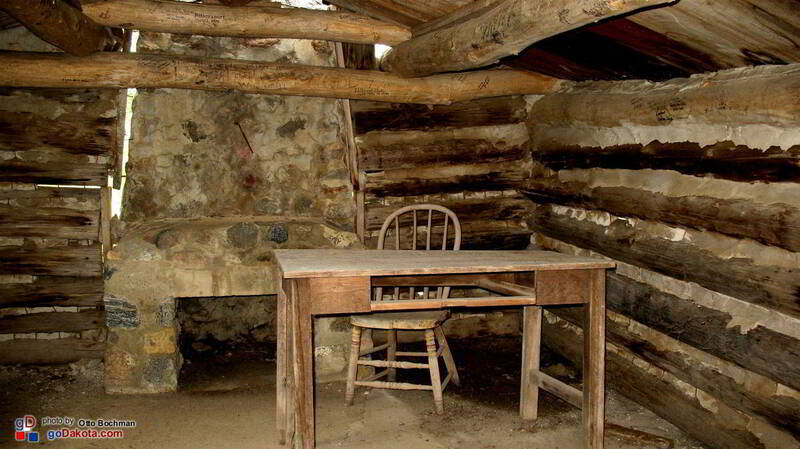 You may find remnants of all five (Bon Homme,Loretta, Kingsburg, Perkins, and Running Water) at or near their original locations. 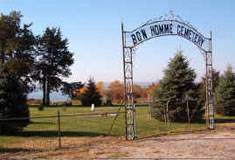 Avon South Dakota is located in Bon Homme County in South Dakota and is within 20 minutes of the new Standing Bear Bridge over the scenic Missouri River. Avon is between Wagner and Tyndall South Dakota on Highway 50 and is east of Dante. Scotland South Dakota is located on Hwy 25 about 20 miles from Tyndall (the county seat) and about 32 miles from Yankton, SD. 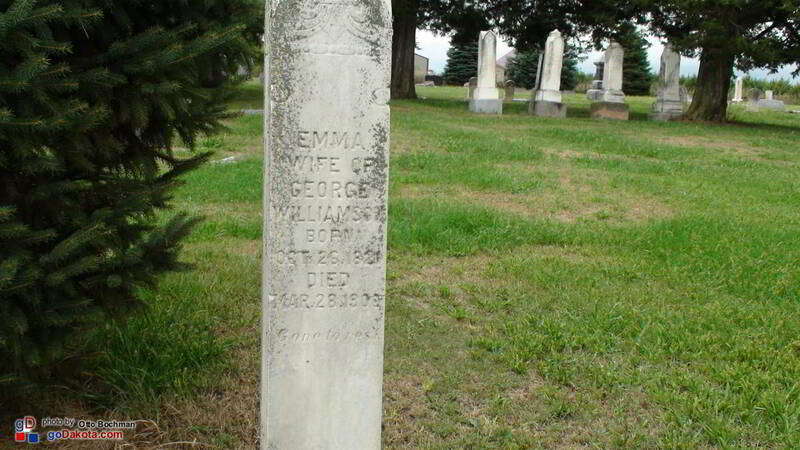 Scotland is in Bon Homme County. 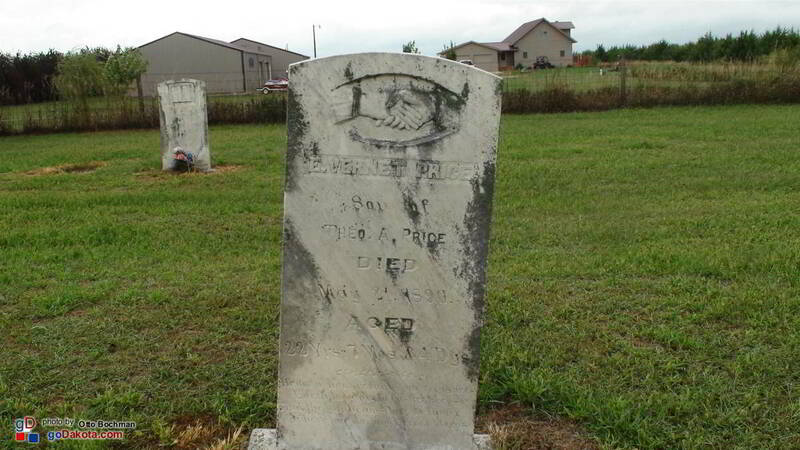 Springfield is located on south central edge of Bon Homme County in South Dakota on the Missouri River. Springfield's location on the Missouri River make it a perfect place for fishing, camping, and hiking. Tabor, South Dakota is located in Bon Homme County on Highway 50 and is 18 miles west of Yankton, SD; 11 miles east of Tyndall, SD. Many of the citizens of Tabor are of southern Bohemia, Czech Republic or Slovakian Decent and celebrate their heritage during Czech Days held on the third weekend in the month of June. Tyndall became the county seat for Bon Homme County in 1885 after Tyndall citizens contributed $6,000 to build a Courthouse. 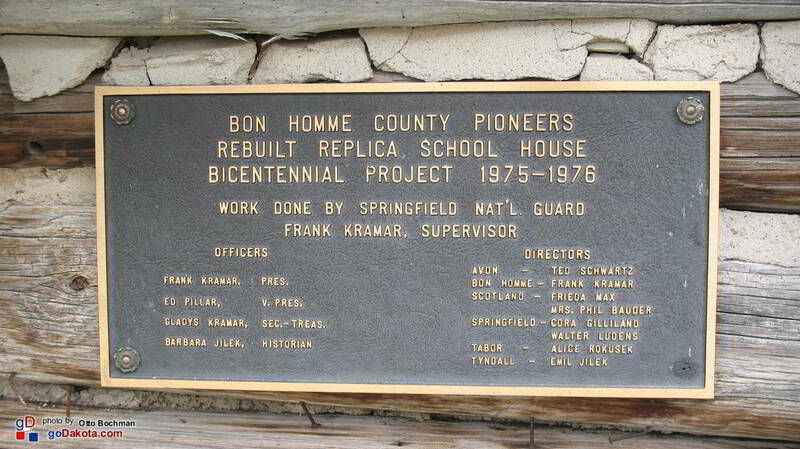 The county seat was moved from Bon Homme (the town) mostly because of the railroad. 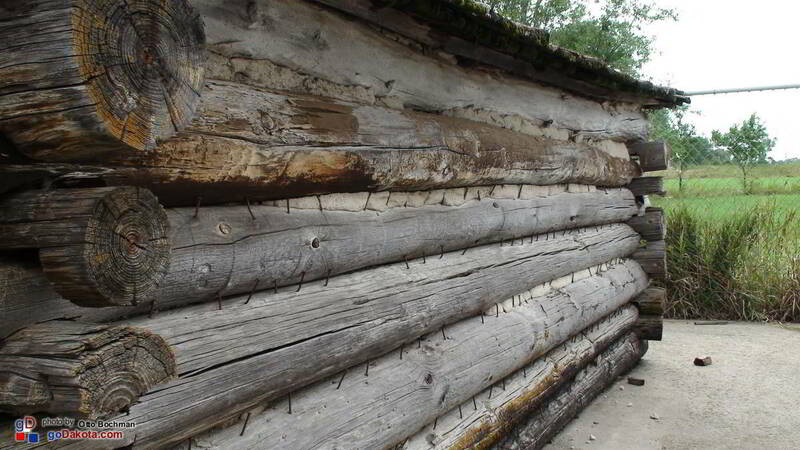 Changes in the Missouri River chanel was also a factor. 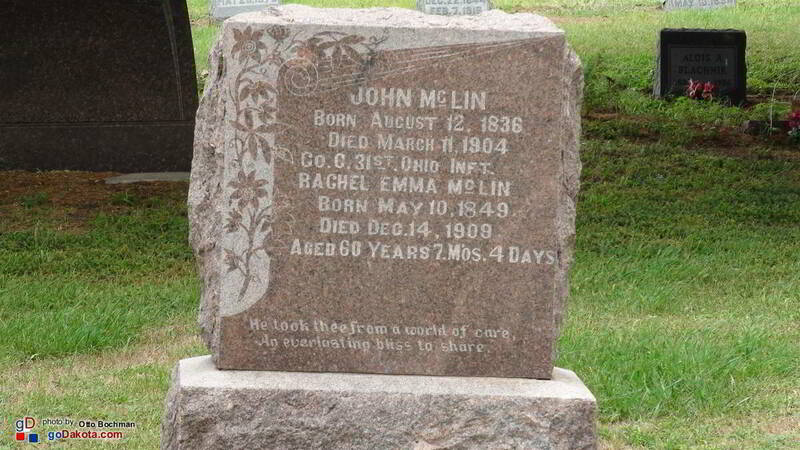 These photos were taken in Bon Homme County South Dakota. 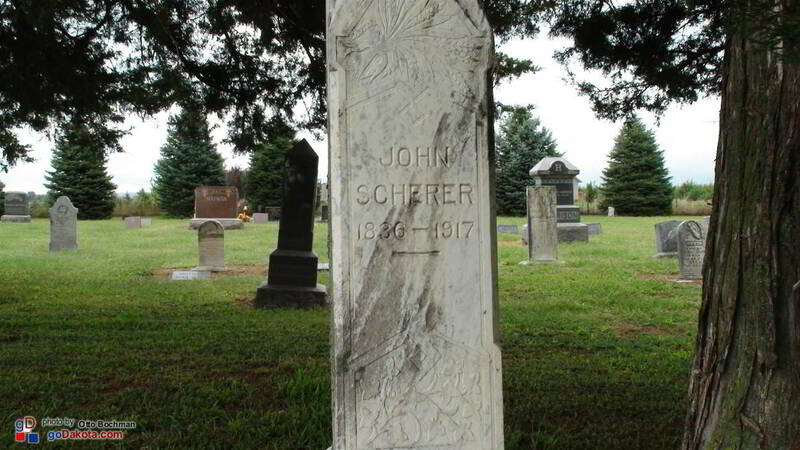 Included in this album are photos that reference E. Vernet Price, Emmons Stone, Walker 1875, Bardwell 1880 River View, Head Stones, Scherer 1902, Margret Congleton, John Scherer 1885, John Scherer 1917, Emma Williams 1900, John McLin 1909, Bon Homme Village, First Schoolhouse, Bon Homme Monument, First Teacher, Pioneer's Association 1910, 1860 Territory School, Frank Hatwan Dedication, Log Structure, School Room 1860, Rebuilt Replica 1976, Teacher's Desk.